PS4 version tested. Review copy provided by the publisher. Yoshinori Ono has frequently echoed the same core message whenever speaking about Street Fighter V. Sure, it may look a lot like, and play a lot like the Street Fighter we know and love, but this is something different. Ryu may look like Ryu and Ken may look like Ken, but being in the moment-to-moment gameplay feels like a different experience all together. As Ono has said, Street Fighter V is a reset. Everything about this reset is geared towards being more accepting than ever to newer players. Coming into USFIV’s roster as a complete newbie is a baffling experience – 44 varied characters with unique move sets and play styles, learning to play as one of them can be challenging, but then learning how to deal with matchups and your opponent’s moves? For a newcomer to the scene, it just feels like an insurmountable task. Street Fighter V’s 16 core fighters all feel varied and unique, offering a range of play styles, but learning the roster and finding the character that’s right for you is a much more manageable task. The pacing is slower than it’s ever been before – your character moves much more slowly and a lot of attacks feel like they execute at a bit of a gentle pace. But this initially sluggish gameplay is completely offset by the mobility some of the characters now demonstrate – Cammy zips across the stage as spry as ever, the brooding Charlie Nash is incredibly mobile with his leaps back and forth, Karin elegantly moves across the length of the stage fairly effortlessly, Necalli can charge through the stage whilst ripping through hurtboxes – and that’s to say nothing of characters like Rashid and Vega. 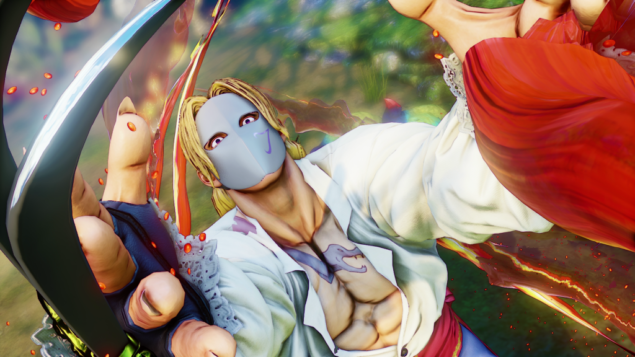 The pacing sums up Street Fighter V perfectly – the initial impression is that everything feels toned down, almost a lesser version of the experience USFIV offers – slower, less characters, less strict frame requirements on combos and cancels, it sounds like the game we’ve been playing but a more casual incarnation. Anyone with that impression would be wrong. Street Fighter V introduces several new mechanics to give players more options during any given round – all of them involving the new V gauge. All characters have a V-Skill, V-Reversal and V-Trigger. The V-Skill varies from a parry with Ryu, a run-up kick with Ken (which can be cancelled into another combo) a fireball-dodging counter from Cammy, ranged hitboxes from Necalli and more. The skill usually gives the characters something they’re missing otherwise – Necalli’s specifically is a more offensive close-range fighter who can find it difficult if enemies are keeping their distance – his V-Skill is there specifically so he counter and combat opponents that wish to keep their distance. V-Trigger activates a mode which is fairly similar among the cast, and acts as a combo enhancer. Special Moves suddenly incur more damage and your combos move much faster. The V-gauge charges while you perform crush counters and take damage in battle, ensuring that you’ll fill the gauge at least once in each round. This gives players who aren’t doing so well a change to make a comeback – though the nature of the gauge means opponents will know exactly when an enemy is going to go on the offensive, and how long that will last for, adding an extra layer of mind games to the Street Fighter formula. V-Reversals are activated during guard and as with the V-Skill have a range of effects. For the most part, it’s a combo-opener – if you’re stuck guarding against a relentless barrage of attacks the V-Reversal can push your opponent back while interrupting their attacks, allowing you to interrupt and make your own move – though no guarantees that this will always work. If nothing else, you won’t get punished for using a V-Reversal, and it just might mean the difference between winning the round or not. In other areas you could say the game has been “simplified” but again, that would be missing the point. Inputs for specials for returning characters have been tweaked, but just to make them a bit more friendly. A couple of examples would be Chun-Li’s legendarily furious kicks being moved away from being a result of mashing kick buttons, and onto a beginner-friendly and familiar Hadouken input – quarter circle forward. Cammy’s Hooligan Combination is another familiar move that has had a tiny change that can make all the difference – the previously diagonal half circle forward (which would result in an accidental jump forward more often than you would like) has now been changed to a more conventional half circle forward – a minor alteration, but one new players will be thankful for all the same. All of this leads towards the same outcome – less experienced players can finally concern themselves less and less with what inputs they’re making, and focus more on the game itself. For new players, the inputs can be the most frustrating thing about Street Fighter, but with SFV the frustration has been put aside and opens players up to the meat of the game, the thrill of out maneuvering and out-thinking your opponent, and not the act of fumbling with a fight stick/analogue stick/D-pad. Away from the actual mechanics of fighting, the game has been improved in other respects. Online matchmaking now works away in the background while you complete single player content – be that Survival, Story or Training mode. The shame is that those three modes are all there actually is in the way of single player content. The initial character stories are nice, offering an opportunity to adjust to new characters with a bit of light-hearted backstory in preparation for the cinematic story experience launching in June – though the stories in the game are actually very short, lasting between three to five fights each. Survival mode feels almost like a replacement for Arcade mode – which is entirely missing, for some reason. Completing Survival mode on the different difficulties will unlock color variations and more, meaning you may as well work towards them to show off online, whilst waiting for your online games to connect. Training mode is, of course, the training mode you know and love. Flick the input display on and off, throw in a real life friend as your training partner and practice till your heart’s content. And finally, the online content itself – I have my doubts. Capcom has been performing regular server maintenance and upgrades throughout the week leading up to release and my online experience has gone from absolutely unplayable to perfectly enjoyable. With each server reset, there’s been a noticeable change in the way matching making works, whether that’s been more regular games or more predictable lag. Multiple times I was tempted to blame my own set up for the issues I was experiencing, but then I switched Ultra Street Fighter IV on and played a handful of perfectly smooth online games. It wasn’t my set up – something was wrong with the servers. I do hope they’re completely up and ready for release tomorrow, but I’m not holding my breath. Still, with the PS4/PC CrossPlay, the community should be really big this time around. 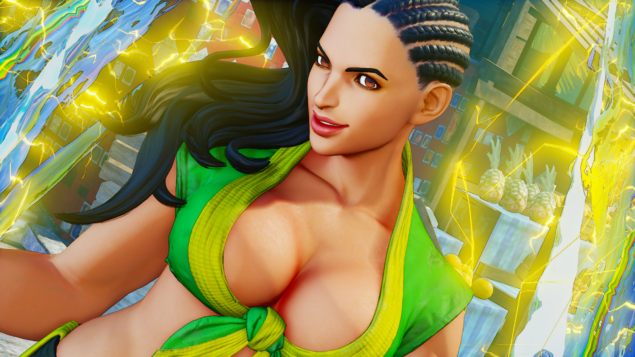 Anyone expecting great things from how Street Fighter V looks shan’t be disappointed. The Unreal Engine 4 combined with a new art style has breathed new life into the visuals, with every bulging tricep, bicep, and pectoral rendered in detail. It certainly gives the characters a distinct new look, although it also could be used as a warning regarding steroid abuse. 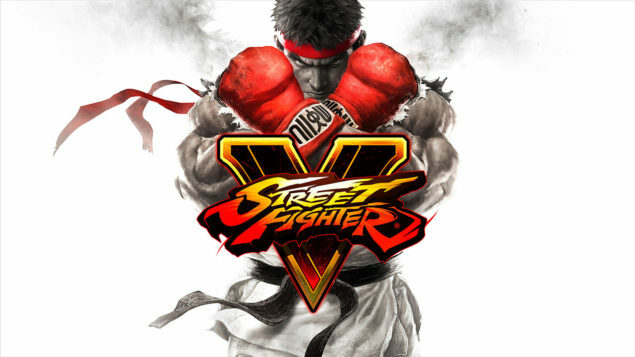 It’s certainly true that Street Fighter V isn’t perhaps as impressive as Street Fighter IV when it made its début, but comparing the two side-by-side shows that Street Fighter V has of course been given a massive visual upgrade, which always runs at a smooth 60FPS on console, regardless of the potentially explosive action taking place on screen. Street Fighter V is a game entirely worth playing. Experienced Street Fighters – this is the game you love from a different angle, giving opportunities to new warriors the world over to test your strength. Brand new players – this is the greatest fighting game series the world has ever known, and this is your best opportunity to see what all the hype is about. And I 100% recommend it. Oh, and the music is really, really good. Street Fighter V is the series at its best. Whether you're an experienced Street Fighter or a complete newbie, this is your chance to get involved in what will be an amazing competitive experience. Are you ready to accept the challenge?